It could be weeks before Metro is ready to take control of the largest transportation project in the region. 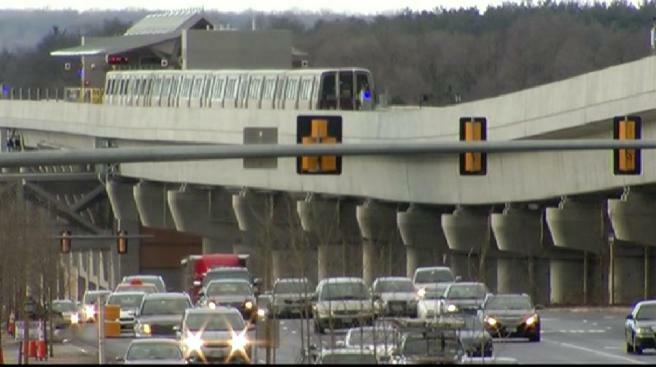 Multiple sources tell News4 there are still a number of issues to be worked out with the Silver Line extension in Northern Virginia. Any new delay pushes back the start date for when riders will be able to get on board a Silver Line train. The line is already behind schedule. Some projections showed the Silver Line opening to riders as early as late 2013. Problems with the electronic systems along the line seem to be the sticking point at the moment. One source explained the situation like this: imagine a contractor is building you a new kitchen, tells you the kitchen is finished, but then you find out the granite countertops are cracked. Monday is the deadline for the team overseeing construction of the project to accept the project as ready to be turned over to Metro. But it appears likely that deadline will not be met. The longer it takes to hand the project over to Metro -- the longer it will be before any rider will be able to take a train though Tysons Corner and out to Reston. Once the project is turned over to Metro, the transit agency will have up to 90 days to complete a series of tests before it allows passengers on board. The first phase of the Silver Line project will run from East Falls Church to Reston. There will be four brand new stations in Tysons Corner alone. The price tag for the entire project is about $6 billion.